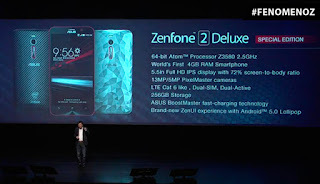 Asus has announed a new variant of its flagship Zenfone, the Zenfone 2 Deluxe Edition. The Zenfone Deluxe Special edition comes with a massive 256GB of internal memory in Brazil. 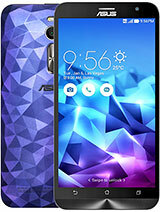 The Zenfone 2 Deluxe Special Edition also sports an impressive spec sheet which includes a 4GB of RAM, 5.5 in 1920 x 1080 display LCD diplay protected by a Corning Gorilla Galass 3 and powered a 2.5GHz octacore Intel Atom Z3580 processor with a 300mAh battery. The Zenfone 2 also tops with off with a Dual SIM support and an option to add more memory to the device via a microSD slot. 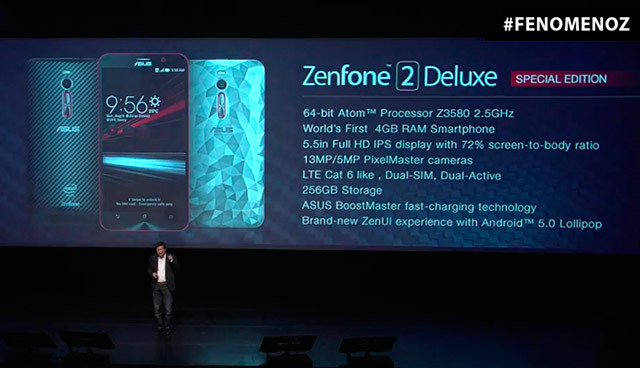 There is no word yet on the pricing of the Zenfone 2 Deluxe Special Edtion yet.